The first month of the year may have already been and come, but as we’ve discovered, a lot can happen in 31 days. 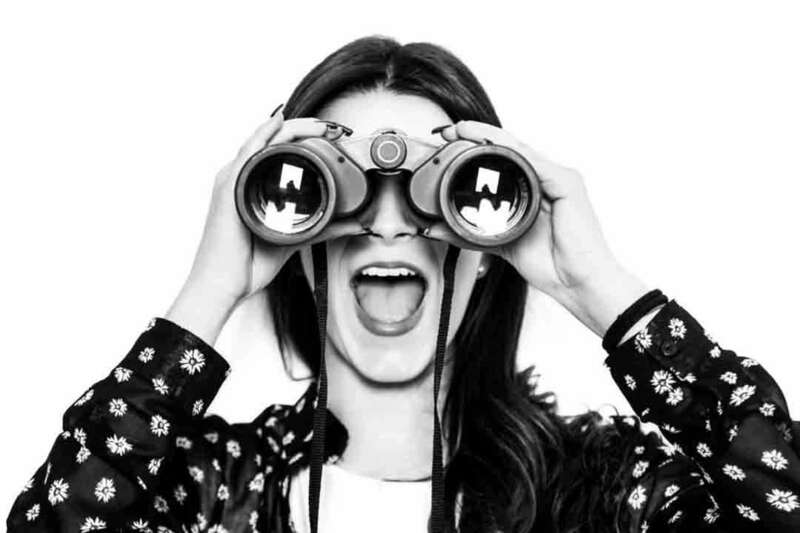 From new team members and promotions to press features and exciting new clients, there’s certainly a lot going on! If this is any indication of the year ahead, then honestly, we can’t wait. In this post, we round up the month, and look ahead to the future. From January 2nd, we were joined by Cicely, our new Operations Manager, and Ronnie, our Social-Media-Executive-turned-Social-Media-Manager. Already making their mark, Cicely has altered and updated our client onboarding process, as well as integrated work practices that are boosting efficiency and client happiness. We’re loving the Friday team meetings she’s also brought in – Pictionary was certainly a lot of fun last week! Ronnie has been proving his prowess in all things social, being all over our accounts and creating campaigns that his clients have been nothing less than impressed with. It’s no wonder he’s already been promoted to Social Media Manager, and we can’t wait to see what fresh ideas he brings to the team. Kara, our new Content Executive, joined us on the 14th January and has been creating brilliant blog posts and website content for a whole host of our clientele. We love her writing style almost as much as we love the cakes she brought in for us on Tuesday. Joining us shortly will be our new SEO Account Managers, Bayo and Daniel, who we just can’t wait to meet! Along with Ronnie, Hannah has been promoted from Content Strategist to Content & Marketing Manager. 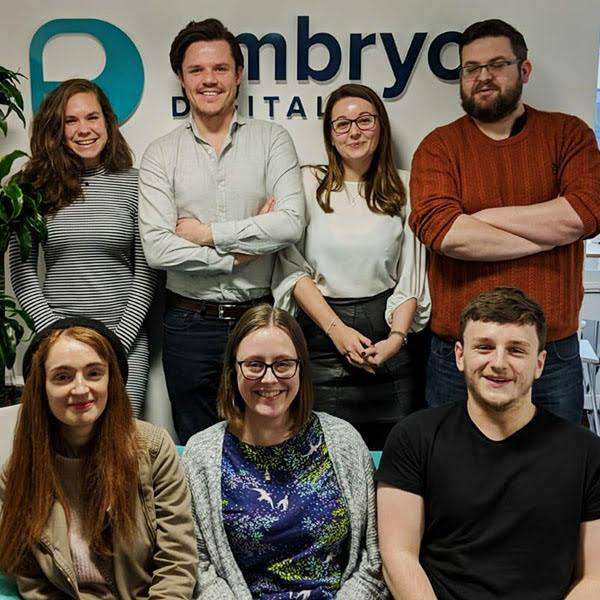 As well as managing her clients’ content, she’s now in charge of Embryo’s marketing projects and PR. 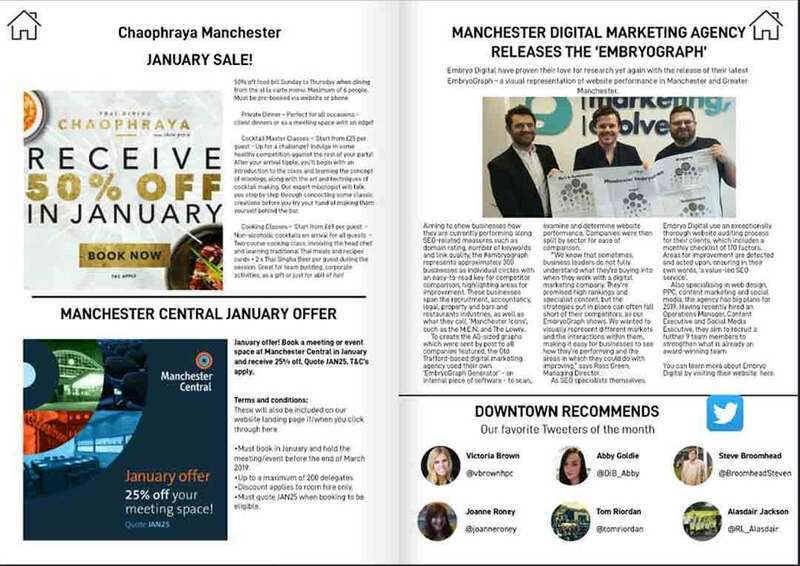 Our first EmbryoGraph has been a great success, and she’s already gotten us featured in Downtown Monthly and the M.E.N. We can’t wait to see what she does next! We’ve onboarded 8 new clients spanning the fitness, hosting, aesthetic and law industries this month, signing up for services including SEO, PPC, Content and Social Media, as well as our specialist Digital Access package. 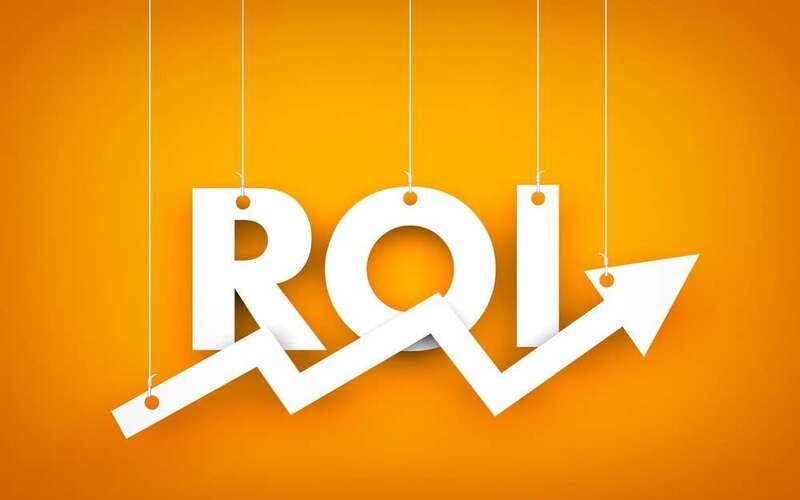 With great campaigns planned, we can’t wait to get stuck in and give our clients the groundbreaking ROI they all deserve. To become Manchester’s go-to digital agency for client value and experience. The hiring of a further 7 team members, including a developer, PPC consultant and content writer. The creation of an outreach department. Moving Embryo HQ to a bigger, more centralised office. Right Team Embryo, time to make this the best year yet!